Totalcontent | Crabtree & Evelyn Christmas Compendium. 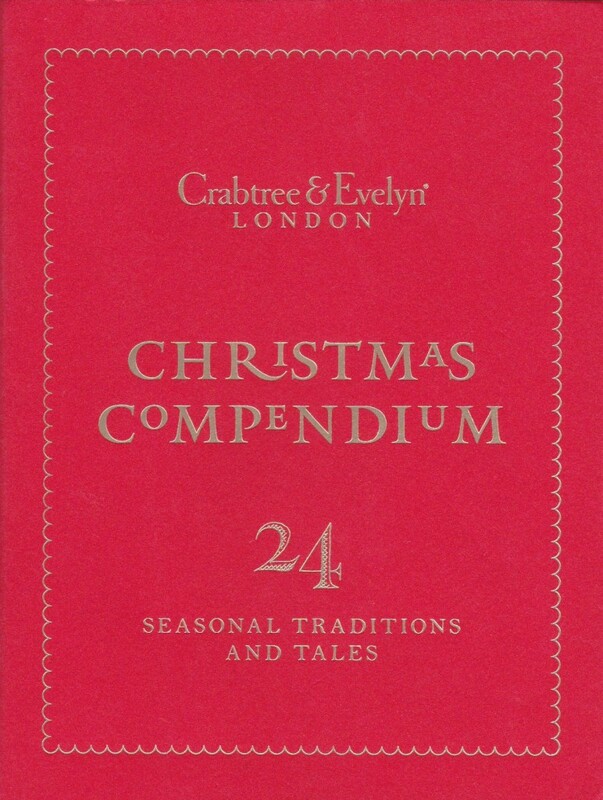 Home » blog » Crabtree & Evelyn Christmas Compendium. As the title suggests, it’s a collection of treats and traditions served up over the Christmas period — many of whose origins have become lost in the mists of time. The subject matter covers everything from sleigh bells and candy canes, to star anise and pomegranates, all conjuring the smells, tastes and feelings of Christmas. 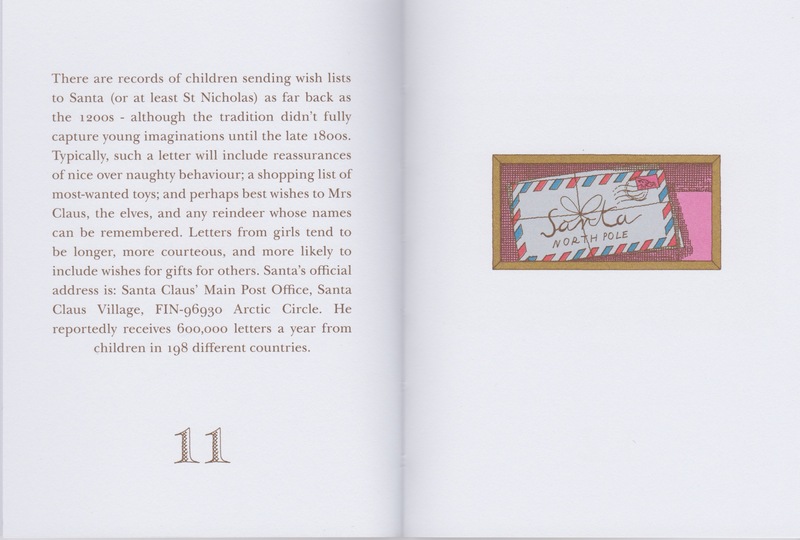 Originally intended as an Advent calendar, the piece ended up as a dinky, exquisitely printed booklet, that shoppers could pick up in store. The bold red cover features gold block printing, and each shiny, 100-word story is accompanied by a charming illustration by Thibaud Hérem. The commission involved considerable research, of course, but the main challenge was keeping things concise and interesting. This link will take you to a full, interactive version of the booklet, complete with festive music (should you care to turn it on). 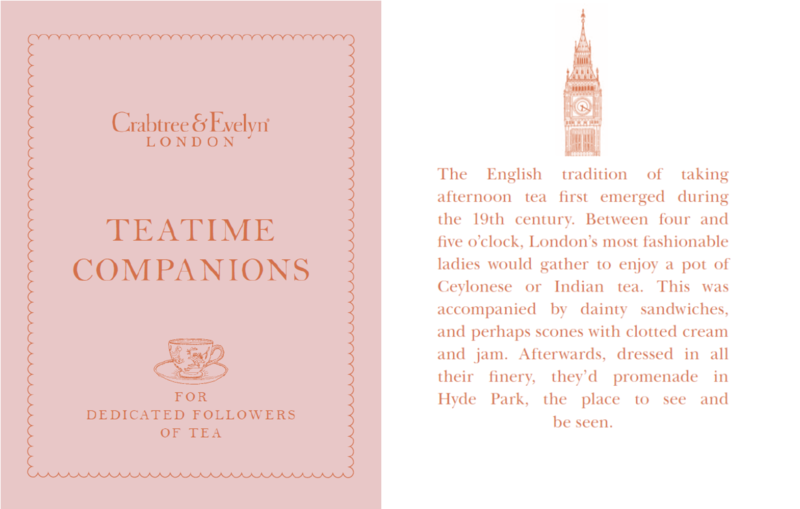 And if, perchance, you’ve partaken of a little seasonal overindulgence, here’s a glimpse of the ‘Teatime Companions’ booklet we wrote for Crabtree & Evelyn earlier in 2015. A full pdf version is available in our Downloads section. Happy New Year one and all. 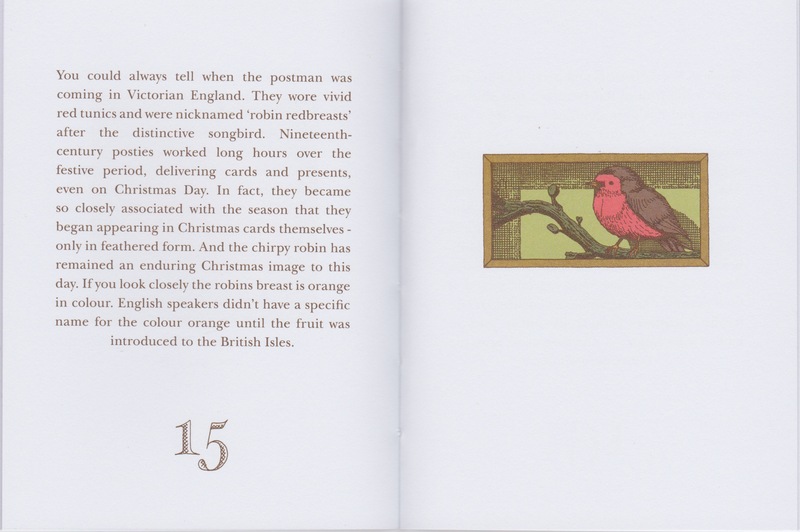 Click here to see the full, page-turning version of ‘The Crabtree & Evelyn Christmas Compendium’.